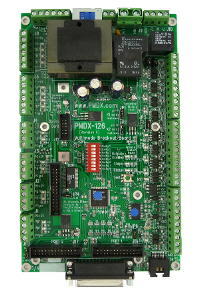 PMDX-107 shown installed on a PMDX-132. 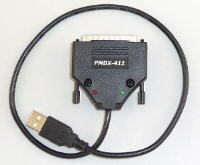 Also mounts on a PMDX-126 in a similar manner. 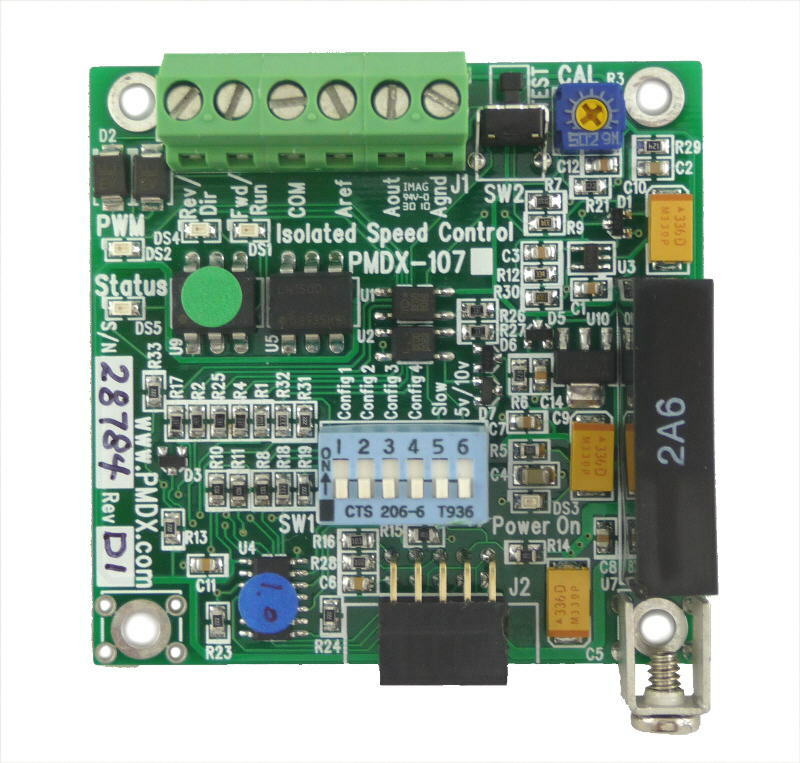 The PMDX-107 is a spindle speed control interface with isolated analog output for use with PMDX boards that support an option card interface. Works with any system that can supply a 25 Hz to 1 KHz PWM signal. 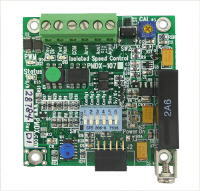 Can remotely control the high current relay on PMDX-125 or PMDX-126 where mains switching must be used for safe spindle run/stop control, e.g. 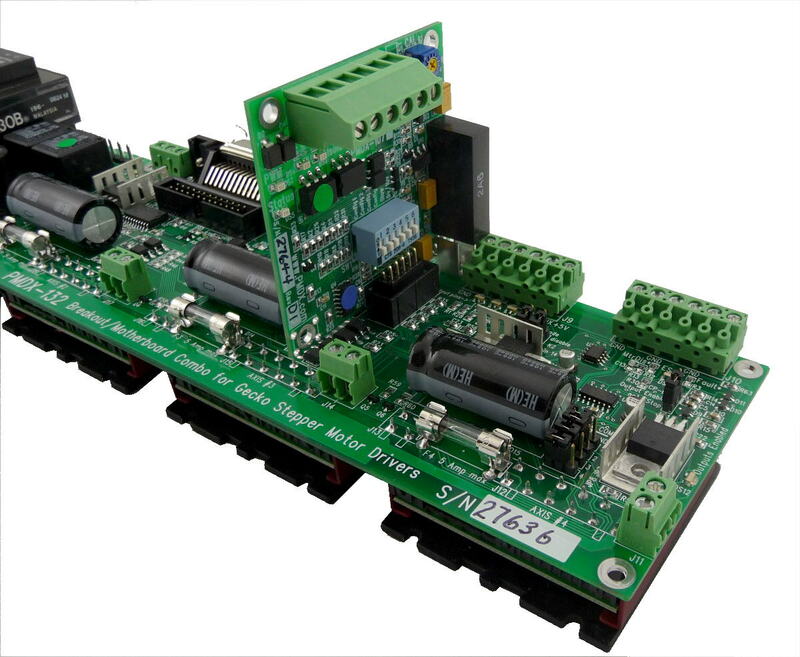 DC motor controllers like the KBIC series used by Sherline. LED's for POWER, Status, PWM active, FWD/Run, and REV/Dir. (revision 1.2, 232 KB, 24 Sep 2012).